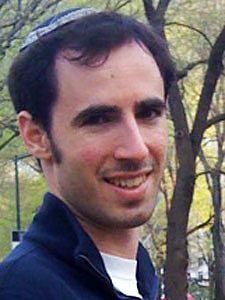 As Daniel Bloom explains in his 2010 Dvar Tzedek, “In Parashat Re’eh we are introduced to one of the most radical economic and social mandates of the Bible.” He’s talking about shmitah—the practice where, every seven years in biblical Israel, all land or money loaned to others would return to the hands of the original owner and all debt would be relieved. Bloom suggests that this process of relinquishing debts made the biblical economic system more equitable—preventing anyone from becoming over-burdened with debt. Recently, AJWS’s Vice President for Communications, Stuart Schear, returned from a trip to Burma, where he met with many AJWS grantee organizations. Among them were Karen Women’s Empowerment Group (KWEG), which works with members of the Karen ethnic minority who have experienced both poverty and persecution because of their ethnicity. The Karen activists demonstrated a contemporary method of balancing the possibilities and perils of debt justly. They created a communally-run micro-lending bank that meets monthly. These banking and community meetings provide an opportunity for local women and KWEG leaders to lend and borrow money to help start small businesses, and also to address the many different, but interrelated, challenges that these women face: earning a living, advancing their children’s education, protecting themselves against violence that is rampant in their communities, and navigating life in a dangerous conflict zone dominated by an army that abuses civilians. A volunteer organizer at KWEG, Naw Regame, told Stuart that she was once too afraid to speak out about these problems, but now has the courage to stand up for herself and her family. Participating in the community bank has also allowed Regame, who is 35 years old, to support her family financially. Read more about Stuart’s trip here and read Daniel Bloom’s Dvar Tzedek below for more reflections on debt and justice. In Parashat Re’eh we are introduced to one of the most radical economic and social mandates of the Bible. We are commanded: “Every seventh year you shall practice remission of debts. This shall be the nature of the remission: every creditor shall remit the due that he claims from his fellow; he shall not press his fellow or kinsman, for the remission proclaimed is of God.” Though the Torah does not generally encourage the shirking of a personal obligation or pledge, this law appears to unfairly relieve borrowers of responsibility for their debts. Further, the subsequent verses specifically instruct us to lend wholeheartedly to those in need. How can the Torah simultaneously cancel all debts and encourage us to lend money? Thus, the commandment of shmitat kesafim, the seventh year relinquishment of debts, attempts to recalibrate the balance of power. It recognizes that the state of indebtedness is not ideal and should be strictly temporary. Shmitat kesafim circumvents the risk that if debts are allowed to persist over time they may become paralyzingly burdensome on individuals or even entire communities. The Torah envisions lending as a type of aid to the borrower—indeed Rambam considers it the highest form of tzedakah. When a debt becomes persistent and overburdening, it no longer fulfills its noble purpose, and in such a case, the Torah advocates shmitah. Rav Hirsch emphasizes that borrowers are still duty-bound to repay creditors if and when they can, but the policy of shmitah is designed to prevent the “hand” of the lender from gaining too much control over the life and livelihood of the borrower. Today, many nations of the Global South are victims of the paralyzing effects of debt servitude. Over decades these states have accrued billions of dollars in debt to wealthy countries, international financial institutions such as the World Bank and the IMF, and private lenders. Much of the debt is considered ‘unpayable debt,’ such that the governments do not have the resources to service the loans while providing for the basic needs of their citizens. To add insult to injury, much of the debt is also ‘odious debt’—loans taken out by corrupt and oppressive regimes such as South Africa’s Apartheid governments and former Congolese dictator Joseph Mobutu. In numerous countries in the developing world, citizens are now saddled with the debts of their former, and in some cases, current, oppressors. While some debt-reduction programs may technically lower the amount of debt owed, they often maintain the drastically lopsided power relationship between lender and borrower that shmitat kesafim was intended to redress. For instance, although debt cancellation has provided opportunities for poverty alleviation in some situations, debt reduction by the IMF and World Bank usually comes with strings attached. Countries receiving reductions to their external debts must agree to undergo Structural Adjustment Programs (SAPs), lender-imposed conditions aimed at reducing the borrowing country’s fiscal imbalances. SAPs may demand the privatization of state utilities such as water and electricity, trade liberalization, reducing government subsidies, or focusing economic output on exports such as commodity crops. SAP-imposed cutbacks, such as charging citizens for previously free programs, may improve the borrowing country’s balance sheet, yet at the same time further marginalize vulnerable communities who cannot afford to pay for basic services. John Perkins, a former consultant involved in brokering large loans to developing countries, has alleged that the wealthy lending countries knew that the loans would never be repaid. Rather, their intention was to force indebted countries into granting access to resources, as well as political, military and economic cooperation. Fortunately, there has been some progress. Thanks in part to the work of the Make Poverty History and Jubilee campaigns, the past decade has seen the debts of some developing countries reduced. Since 2001, when the Tanzanian government began using its debt-service savings to eliminate school fees, over three million new students have enrolled in schools. Debt relief in Mozambique allowed 500,000 children to be vaccinated. The relinquishment of debts is not a utopian vision. Indeed, following the devastating earthquake in Haiti, World Bank canceled all outstanding debts owed to it by Haiti. Global financial powers, however, should not wait until exceptional natural disasters to act, when a less dramatic but equally deadly toll is taken by human-induced long-term poverty. It is long past seven years. Now is the time to call on our elected officials to support a shmitat kesafim, a genuine cancellation of debt that restores the independence and dignity of borrowers. Haketav Vehakabbala on Dvarim 15:2-3. R. Mecklenberg was a 19th century Rabbi and biblical commentator. Laws of Gifts to the Poor, 10:7. Rabbi S. R. Hirsch on Dvarim 15:2. See Perkins, John. Confessions of an Economic Hit Man. San Francisco: Berret-Koehler Publishers, Inc., 2004.